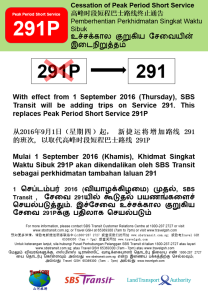 Originally published on 24 Aug 2016, updated on 20 Dec 2016. 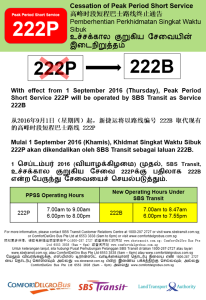 As part of the transition to the Bus Contracting Model (BCM), Peak Period Short Services (PPSS) will be absorbed into their parent services when the 2 year contracts with the Private Bus Operators end. 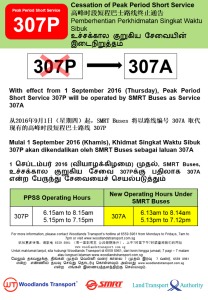 Additional shortworking trips will be operated to cover the withdrawn PPSS routes with no change in routing. 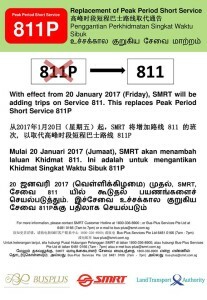 Peak Period Short Service 811P will be withdrawn on 20 Jan 2017 with SMRT Buses operating additional trips of Bus Service 811. 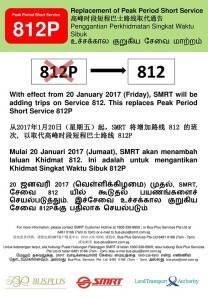 Peak Period Short Service 812P will be withdrawn on 20 Jan 2017 with SMRT Buses operating additional trips of Bus Service 812. 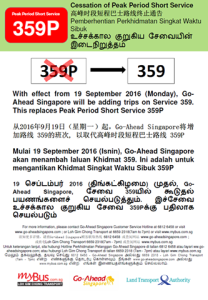 In addition to the announced routes, Peak Period Short Services 358P & 359P was withdrawn from 19 September 2016 as Go-Ahead Singapore would be running additional trips under their parent bus services 358 & 359 respectively. 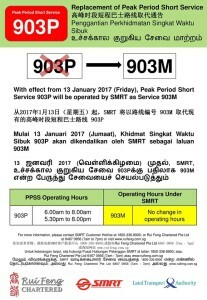 The remaining Peak Period Short Services as of mid December 2016 will be withdrawn in Late December 2016 and early January 2017. Tower Transit will operate additional trips on Bus Service 285 when Peak Period Short Service 285P is withdrawn. 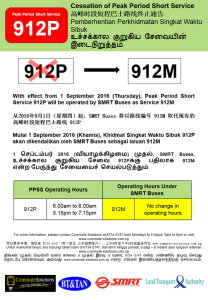 SMRT Buses will operate additional trips on Bus Services 811 & 812 when Peak Period Short Services 811P & 812P are withdrawn respectively. 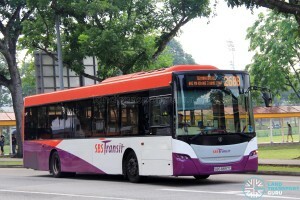 As the Peak Period Short Service route variant covers the East Loops of TownLink 291, TownLink 293, TownLink 358 & TownLink 359 from Tampines and Pasir Ris Bus Interchange, there will not be any new route number assign to the lost route. 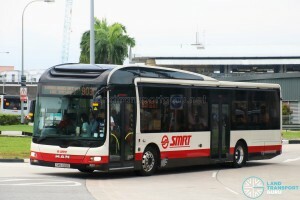 Instead, additional shortworking trips will start from the East Loop berths of the above four Townlink services at both Tampines Bus Interchange and Pasir Ris Bus Interchange with the terminating “T” plate displayed on the windscreen throughout the journey. 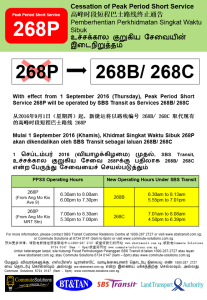 This indicates that the bus service will end back at Tampines / Pasir Ris Bus Interchange and will not continue on to the west loop, similar to 291P, 293P, 358P & 359P’s current operations. 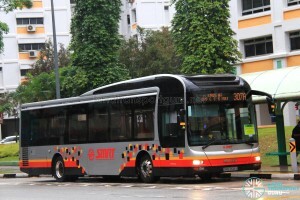 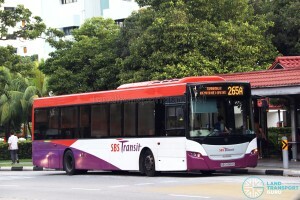 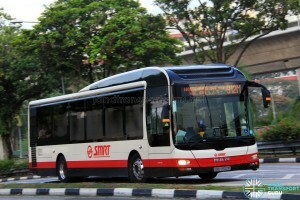 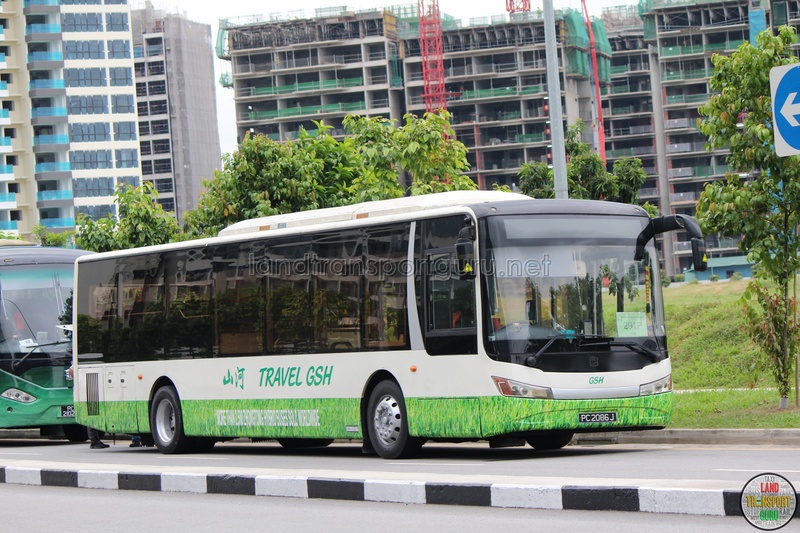 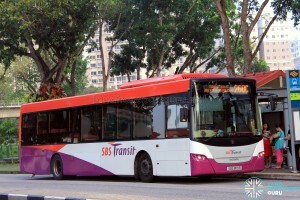 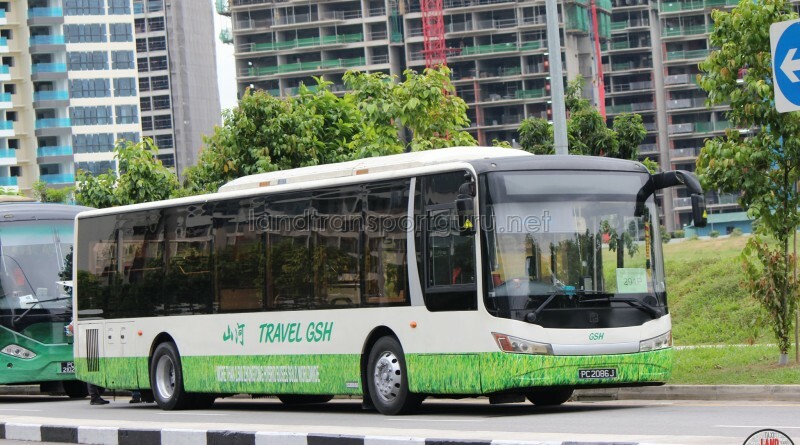 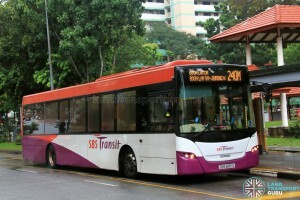 Originally conceived as a provisional improvement to feeder bus services during the peak hours (to meet BSEP route frequency requirement), PPSS taps on Private Bus Operators for additional buses, thereby adding capacity to these services when incumbent Public Transport Operators (PTOs) SBS Transit and SMRT Buses lack the resources to do so at that point of time. 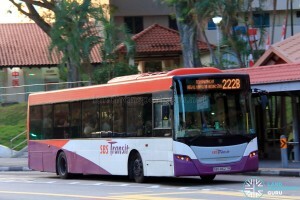 With the introduction of the Bus Contracting Model (BCM), and adequate buses allocated to PTOs for the operation of these additional trips, PPSS routes were gradually transferred back to incumbent PTOs operating their parent bus service, beginning with seven routes (222P, 240P, 268P, 291P, 293P, 307P, 912P) transferred to SBS Transit and SMRT Buses from 1 September 2016 onwards, in tandem with the full transition of the bus industry to the BCM. 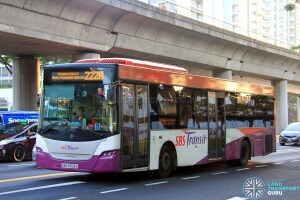 Behind the scenes, the 2-year contract for these seven routes (expiring between April and June 2016) were partially extended to meet the transition date, allowing for a seamless transition. 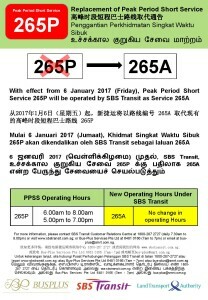 Operations of the existing PPSS routes are expected to be absorbed into their parent service once their two-year contracts expire. In the meantime, 2-year contracts for PPSS 358P and 359P was extended to allow Go-Ahead Singapore to take over them from 19 September 2016 onwards.